CPR “C” is available through Windsor First Aid. Cardiopulmonary resuscitation “C” educates participant’s cardiopulmonary resuscitation and automated external defibrillator (AED) methodologies for patients of all ages. Students will also find out how to do CPR with victims experiencing additional complications and with the utilization of AED’s. All of the individuals which successfully complete this class will get a workplace approved CPR “C” and AED license that meets several different accreditation demands. Browse to the bottom within this page to register for the CPR “C” class that fits your current time frame. This course is for cardiopulmonary resuscitation certification solely, no 1st aid qualification is included. Enroll today to attain the best training at the cheapest prices in Windsor. The length of cardiopulmonary resuscitation level “C” is dependent upon the skill level, size and education speed of the individuals in the class. Generally the class is from five to six hours. At Windsor First Aid we are devoted to the most competitive prices. This class costs a flat fee of — dollars. Payments can be accomplished on-line with the sign up system down the page. 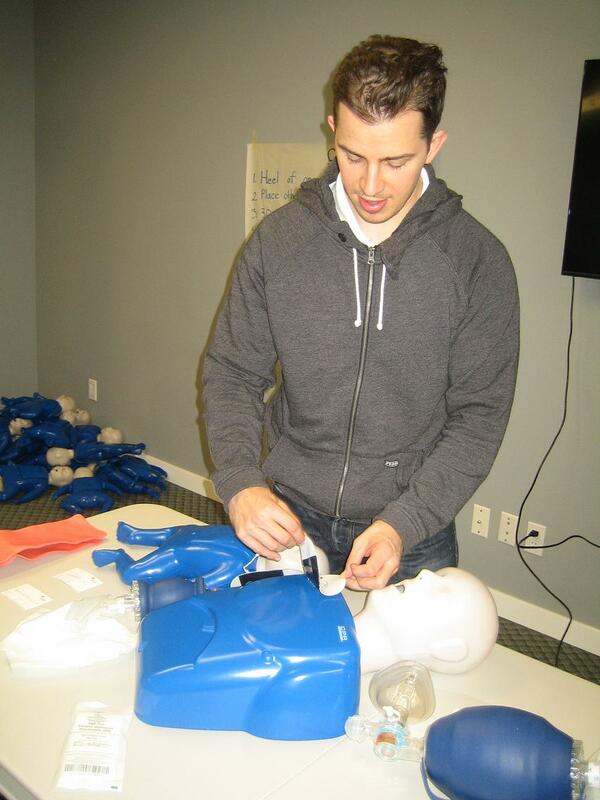 Individuals participating in this class will learn CPR methodologies for children, infants and adults. Candidates will also learn about basic cardiovascular emergencies, legal aspects of engaging in CPR and fundamental details about EMS. To enroll in a cardiopulmonary resuscitation “C” class within Windsor select the class starting time and date from the options directly below. Fill in the registration content and pre-pay to ensure a spot within the class. Space is limited. If you’ve got questions or concerns please feel free to contact us via telephone or e-mail. Virtually all students finish the cardiopulmonary resuscitation level “C” class without difficulty. Following completion individuals get a workplace approved CPR “C” award that fulfills a number of accreditation prerequisites and guidelines. All certificates are valid for three years. Windsor First Aid also offers CPR level “C” renewal programs. To book a group or personal course, please contact us via email or telephone.